Other times, the act of preparing the New Art Film Festival runs parallel with an anticipation of “what might be” in our program, especially in terms of area-made projects that have already caught our attention. Will we receive a chance to play them? Are they committed to debut elsewhere? Can they even be ready to submit by deadline? 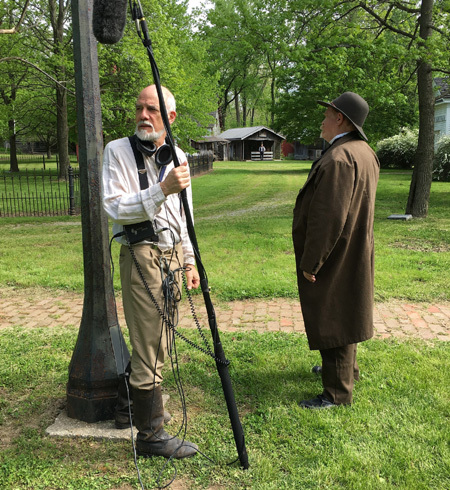 Fortunately, Mike Boedicker of Roselawn Productions Ltd. sent our way his Reconstruction-era tale, THE SHERIFF’S CHILDREN, which we accepted for the show without a second thought. Since the 22-minute film is still being entered in other festivals across the United States, we only have general details and a teaser to pass along to our dearest viewers; Boedicker will more than likely release it online and possibly on disc as with his previous central Illinois output like HOUSE OF THADDEUS and REVOLTING, providing an opportunity for you to check out his latest work. Featuring contributions by Champaign-Urbana regulars including Thomas Nicol as effects artist and cinematographer, Johnny Robinson as sound recordist, Julia Megan Sullivan as script supervisor and dialect coach, Malia Andrus as costume designer, and Eric Watkins as music composer, SHERIFF is a solid example of how comfortable Boedicker is with balancing the dramatic and intellectual needs of his storytelling. The script hits its beats but does not telegraph its reveals, the performances serve the material without upstaging it, and the locations found in Illinois and Indiana sell the period illusion on a meager budget. Indeed, we heard NAFF chatter praising the short as people exited the Art Theater auditorium on October 29 and conclude it will have a healthy festival life. As to what Roselawn may produce next, it will not spring forth from Danville as usual. Mike and his wife and collaborator, Leslie Boedicker, resigned from their positions at the Danville Public Library at the beginning of fall and relocated to the Parma, New York, region where they both have family and prior history. C-U Blogfidential will miss their friendship and presence as well as contributions to our film culture, so we wish them good fortune and happiness in the move! We also send Mike a long-distance dedication on his birthday today, Saturday, December 30, which he shares with a certain other cinema someone typing these very words. Enjoy the day, both of you! p.s. 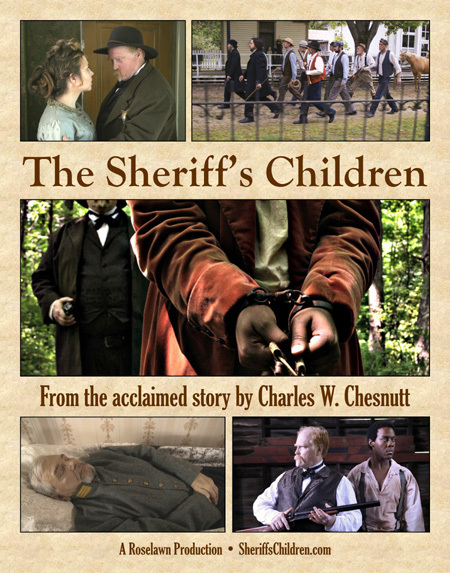 Mike offers his thoughts on the making of THE SHERIFF’S CHILDREN in this 2017 NAFF article run by Smile Politely and written by Jarrod Finn. This entry was posted on Saturday, December 30th, 2017 at 1:00 pm	and is filed under Alums Done Good, Area Festivals, Media Coverage, Production Updates, Public Events, Videos du C-U. You can follow any responses to this entry through the RSS 2.0 feed. Both comments and pings are currently closed.